A perfectionist with an eye for detail, Groga has helped develop brands and organise events since 2008. 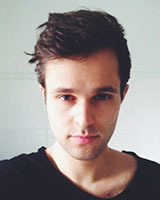 He has been partner and the Creative Director of the first Croatian festival that expanded globally, including Australia. Branding, development, marketing, UI & UX enthusiast who helped over 30 startups and companies get to the next level, efficiently. Love what you do and success will follow. When times are tough, try even harder."